When driving along I-70 and coming up on Silverthorne, you may hear choirs of shopping angels singing as one. Famed for its Outlet Malls, Silverthorne is so much more than a heavenly shopping experience tucked up high in the mountains. The Blue River Festival sweeps the area come autumn when golfers and fly fisherman can compete and help the Blue River Restoration project at the same time. Summer recreation includes incredible mountain biking, hiking, camping some of Colorado’s wildest forests, a salmon run that attracts fishermen from all over the State and of course whitewater rafting and kayaking the Blue and Colorado Rivers. Winter snows brings throngs of people to the 7 ski resorts within a short drive and you can miss the crowds by choosing Silverthorne as a base of operations. Snowshoeing, dog sledding, hundreds of acres of groomed snowmobile terrain which is home to many organizations and races, all complete Silverthorne’s appeal. 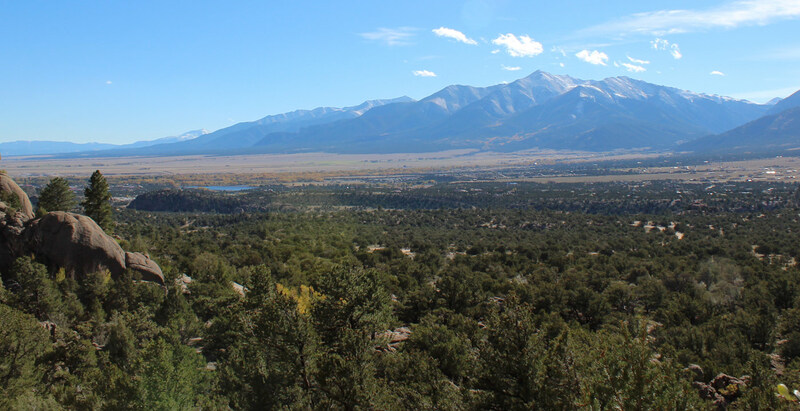 Come in autumn and experience staggering fall colors as the Aspens change, take a scenic drive, hike the incredible nearby mountains in the crisp air, and wonder to yourself why you didn’t do this sooner.